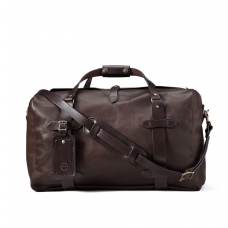 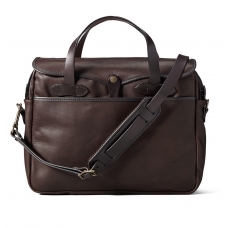 Filson Weatherproof Rolling Carry-On Bag-Medium Leather 11070439, a leather suitcase guaranteed for life. 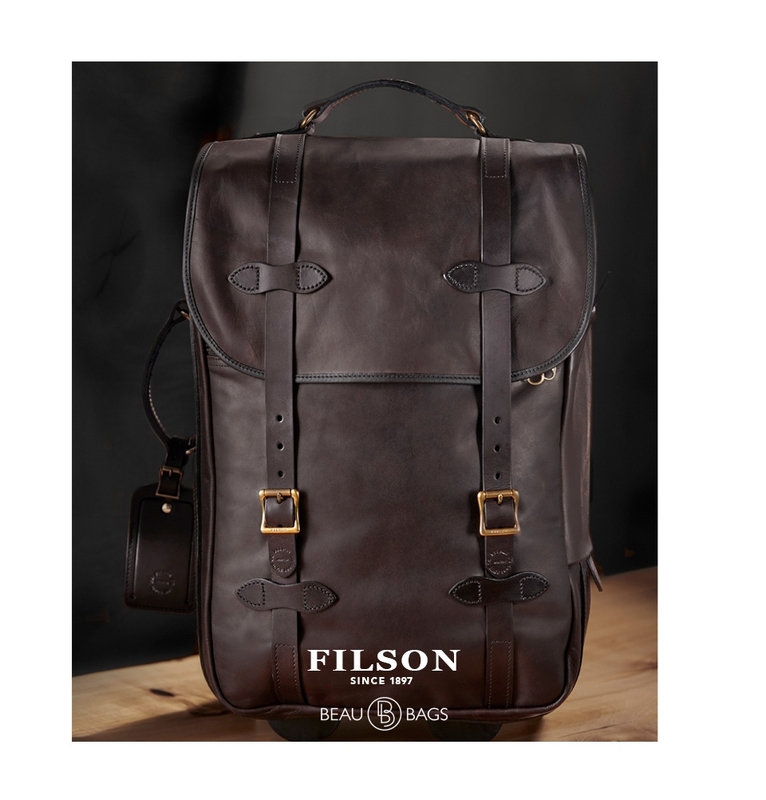 This Filson Weatherproof Leather Rolling Carry-On Bag-Medium is built to stand up to the elements and guaranteed for life. 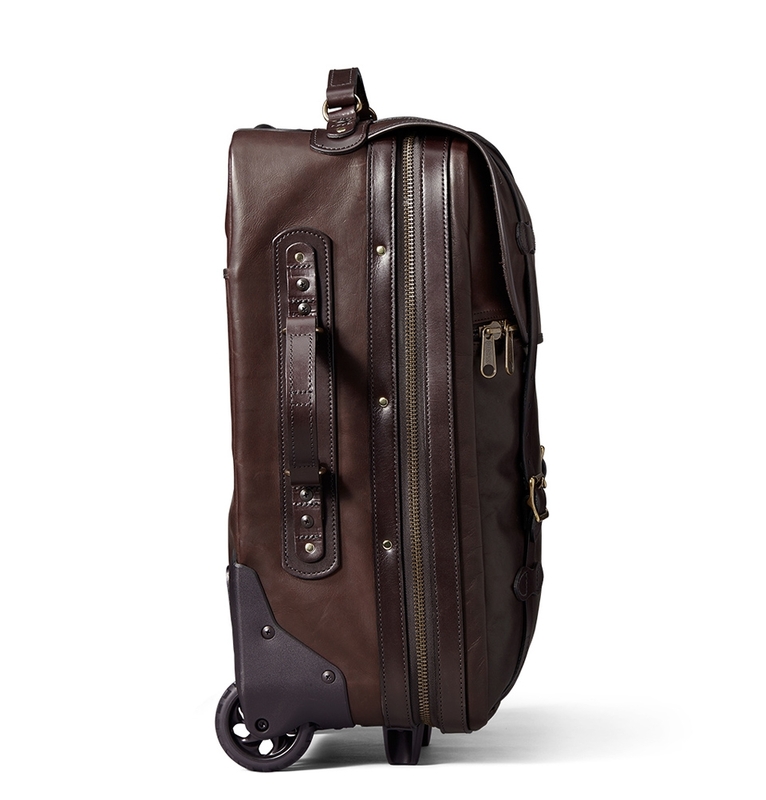 FILSON WEATHERPROOF LEATHER ROLLING CARRY-ON BAG-MEDIUM 11070439, a leather rolling carry-on bag guaranteed for life. 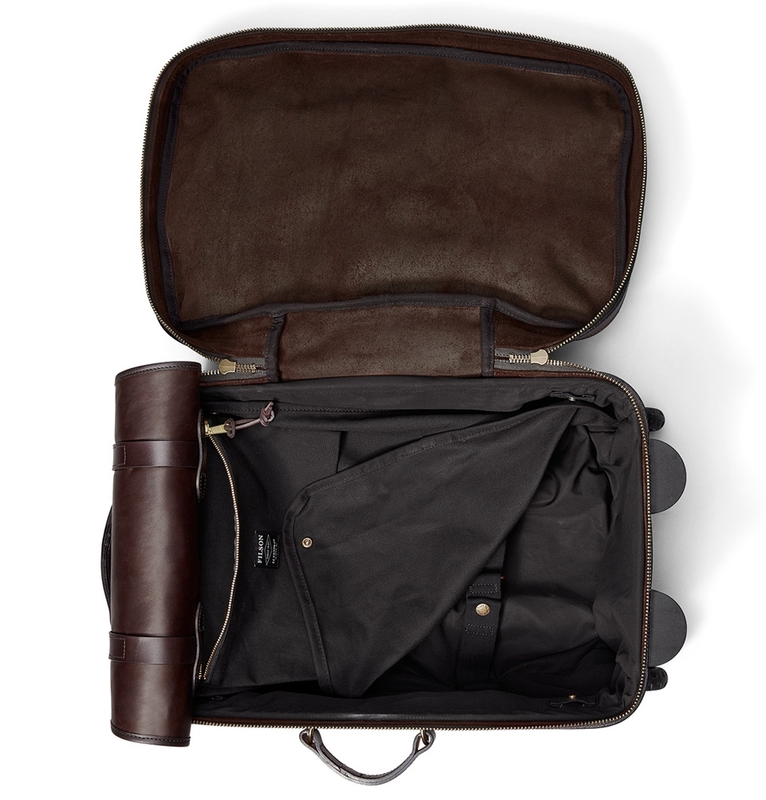 The Filson Weatherproof Leather Rolling Carry-On Bag Sierra Brown is Filson's new Weatherproof Rolling travelbag and made with a proprietary leather that’s vegetable-tanned by Wickett & Craig, the 150-year-old Pennsylvania tannery that makes our Bridle Leather. 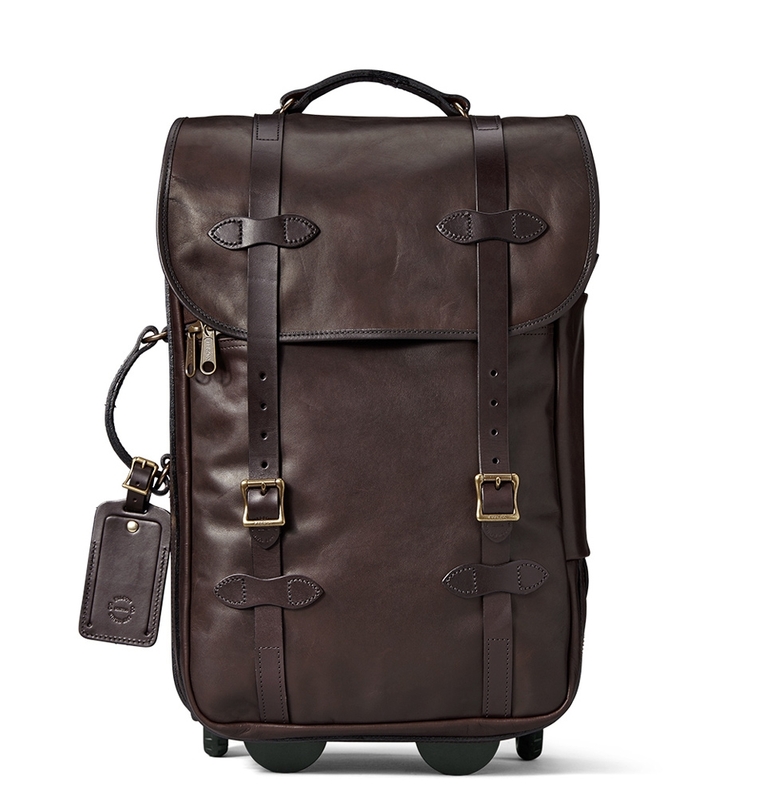 Filson worked with this longtime partner to develop this special boot-grade leather that is weather- and salt water-resistant, then added solid brass hardware a so that this Rolling Carry-On is as tough as the boots on your feet. 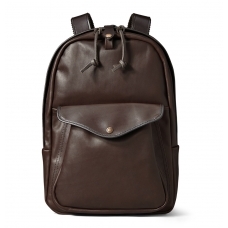 VERY CONVENIENT TO USE, and stylishly finished. 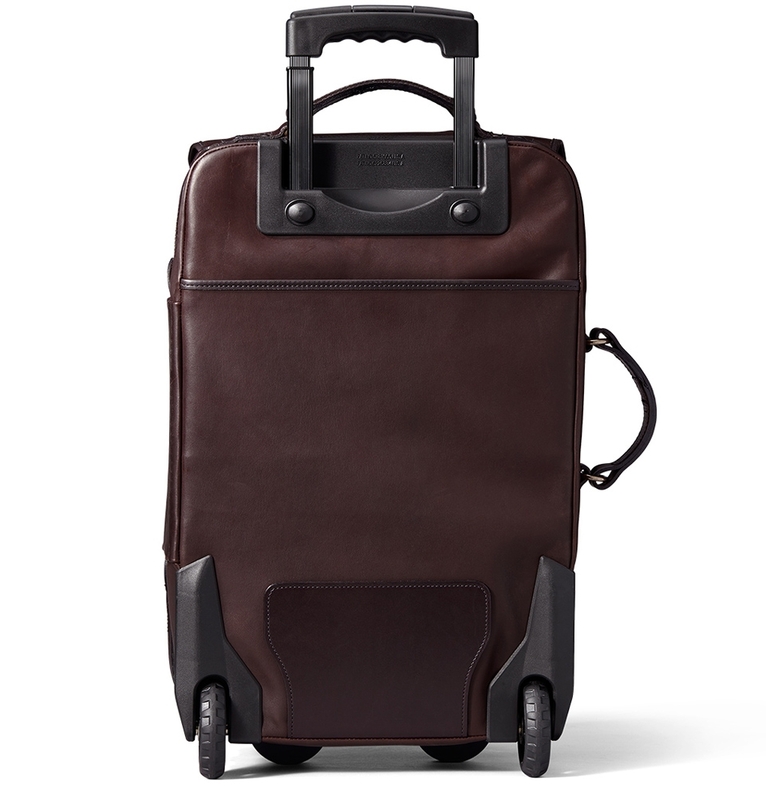 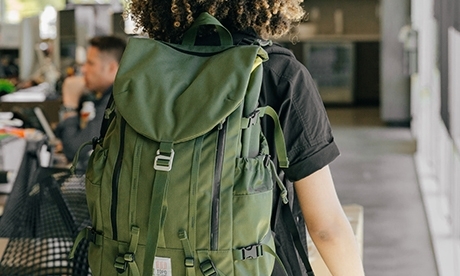 Sized to fit into overhead compartments, this rolling suitcase features molded feet, a 20” retractable handle and heavy-duty wheels to keep up on long trips. 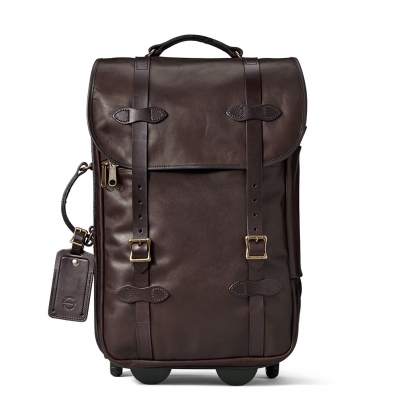 Go on tour with the Filson Weatherproof Rolling Carry-On Bag-Medium 11070398. 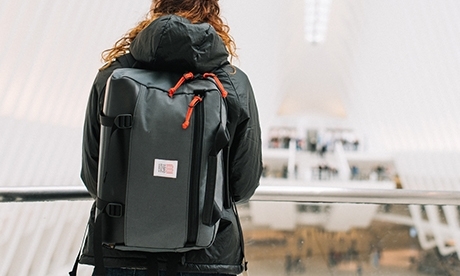 This amazing suitcase is your perfect travel partner for the rest of your life.